The Little Tokyo Historical Society, formed in 2006 by volunteers seeking to promote Little Tokyo as an historic resource, is creating an archive of images of Little Tokyo to share with the public--some which will be used for an upcoming publication. Image taken ca. 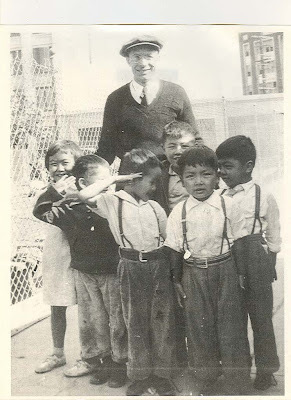 1930 at the Maryknoll school. The goal of LTHS is to collect stories, photographs, documents, and other historic materials related to the history of Los Angeles's Little Tokyo neighborhood in order to preserve as well as share those stories and materials to a greater community in innovative and creative ways. The Historical Society is encouraging people to bring photographs and/or documents that help to capture the history of Little Tokyo. The photos will be scanned on site while participants wait, which should take no more than a few minutes to digitize. For more information, please contact Stephanie at svan@Ltsc.org.